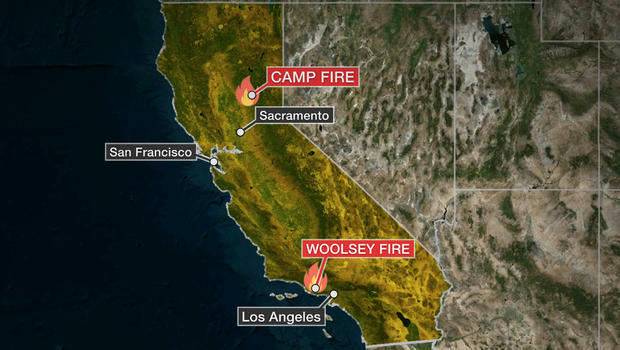 By mid-month November, Northern California's Camp Fire (northeast of San Francisco and Sacramento) had repacked those July statistics, and was now slated as the deadliest and most destructive fire California has faced. The Woolsey Fire, with its proximity to Los Angeles, has made this one it's own deep concern. Both fires are creating poor air quality for the entire area and both major cities. Additionally, smaller fires pepper other areas of California as well. This video was posted by The Years Project on November 15. Just 3 days later, numbers of people who had perished in the fire nearly doubled, and well over 1,000 people were missing. The video blames heat, drought (and less snow pack), the jet stream on causing this heightened level of fire outbreak in California. Clearly, climate change is at play as reported by climate scientists and California fire experts (despite our president's assessment &/or opinion). Here during the season of Thanksgiving, may seeing this turmoil in California serve as moment to shift our own personal perspective to see the wealth each one of us has. May it grow gratitude in each one of our hearts. Additionally, now is a wonderful time to give thanks to the many firemen and women and first responders who have been there all month long, doing the hard work. May it also serve to strengthen scientific facts: we desperately need to embark on a number of innovative ideas to battle climate change to help restore our hurting planet.